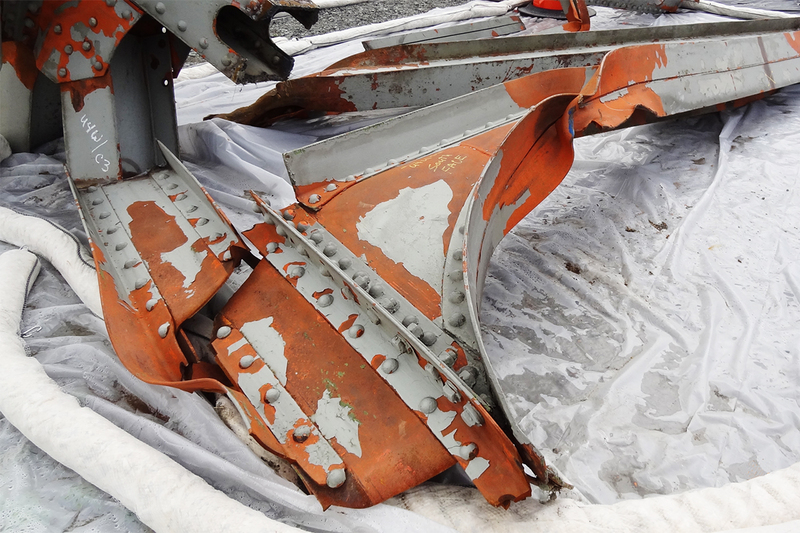 A key factor in the crash was the curved opening of the bridge. The posted height was the maximum in the center, not the lower curved section above the outer lanes, which the truck hit. CHAMPAIGN, Ill. — When an important bridge collapsed on Interstate 5 near Mount Vernon, Washington, in 2013, questions were raised about how such a catastrophic failure could occur. A new analysis by a team of civil engineering faculty at the University of Illinois at Urbana-Champaign outlines the many factors that led to the collapse, as well as steps that transportation departments can take to prevent such accidents on other bridges of similar design. The analysis by Illinois civil engineering professors Tim Stark, Ray Benekohal, Larry Fahnestock and Jim LaFave was published in the American Society of Civil Engineers’ Journal of Performance of Constructed Facilities. 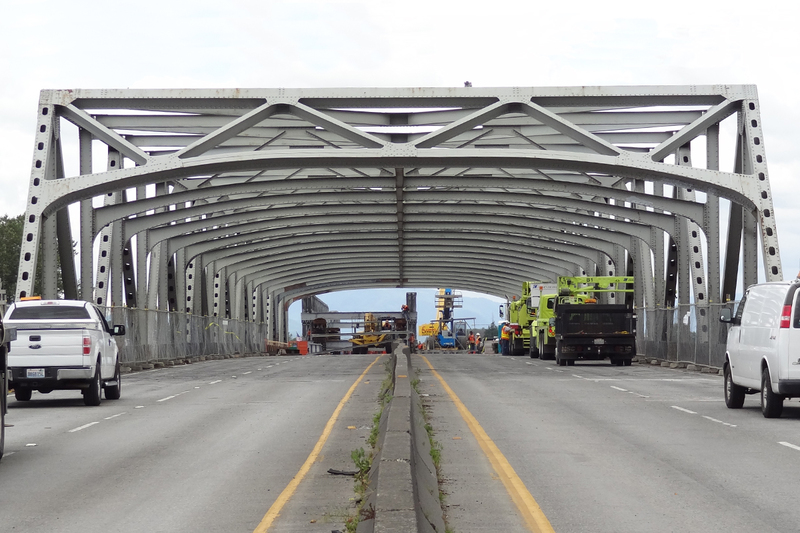 Some structural reinforcement and transportation database changes could prevent failures like the 2013 I-5 bridge collapse in Washington state, Illinois engineers found in an assessment of the accident. 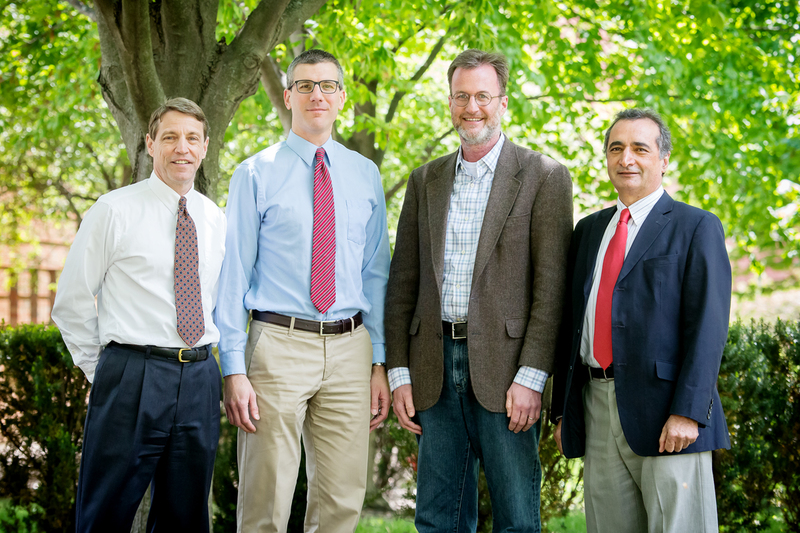 Pictured, from left: professors Tim Stark, Larry Fahnestock, James LaFave and Rahim Benekohal. The collapse on May 23, 2013, was precipitated when an oversized trailer clipped the top of the second cross-frame on the bridge. The analysis found several inciting factors, including regulatory ones – the truck had a permit to cross the bridge; structural ones – a minor impact caused a chain reaction that collapsed the bridge; and human error – miscommunication between the drivers of the truck hauling the oversized trailer and its pilot car. How did an oversized vehicle receive a permit for a bridge with lower clearance than its height? Inaccurate record-keeping, Stark said. The opening of the bridge was curved, so that the clearance over the far lanes was lower than the clearance in the center lanes. 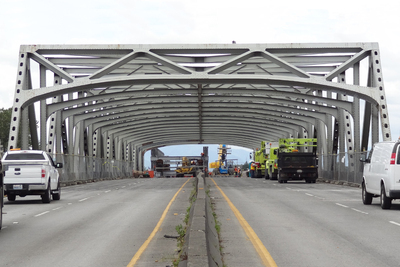 However, the Washington Department of Transportation only keeps the maximum clearance in its bridge database, which is used to issue permits for oversized vehicles. Benekohal recommended that other states adopt the Illinois Department of Transportation’s policy of reporting the lowest vertical clearance of a bridge, rather than the highest, and its periodic use of LIDAR to verify clearance numbers, which can be affected by repavement, snow or other factors. Crews work to replace the collapsed section of the I-5 bridge after the 2013 accident. Many bridges in Washington and other states have the same design, so understanding this collapse could help prevent others. The pilot car was the source of the human error factors detailed in the paper. Oversized vehicles have pilot cars to guide them, intended to help thwart the kind of scenario that led to the I-5 collapse. The pilot car has an antenna that is supposed to alert the driver if it hits a bridge or other structure, indicating that the clearance is too low for the following oversized vehicle to continue. Then the pilot driver must call the truck driver to tell him or her to adjust course. An oversized truck hit the second support frame of the bridge, twisting and deforming it like plastic and causing a chain reaction that collapsed the entire section of the bridge. The structural analysis revealed that the impact to the second cross-frame, rather than the first, caused so much damage because the way it twisted pulled down the top of the bridge truss, which in turn caused the entire structure to fail. The researchers hope that their recommendations can help address the differing factors that contributed to this incident, so that it will not be repeated. Updating databases to reflect minimum heights, automated reporting between the pilot car and the oversized vehicle, and structural reinforcement could prevent accidents and collapses like this one, increasing safety and preventing costly repairs, they said. Editor’s notes: To reach Tim Stark, call (217) 333-7394; email: tstark@illinois.edu. To reach Ray Benekohal, call (217) 244-6288; email: rbenekoh@illinois.edu. To reach Larry Fahnestock, call (217) 265-0211; email: fhnstck@illinois.edu. To reach Jim LaFave, call (217) 333-8064; email: jlafave@illinois.edu. 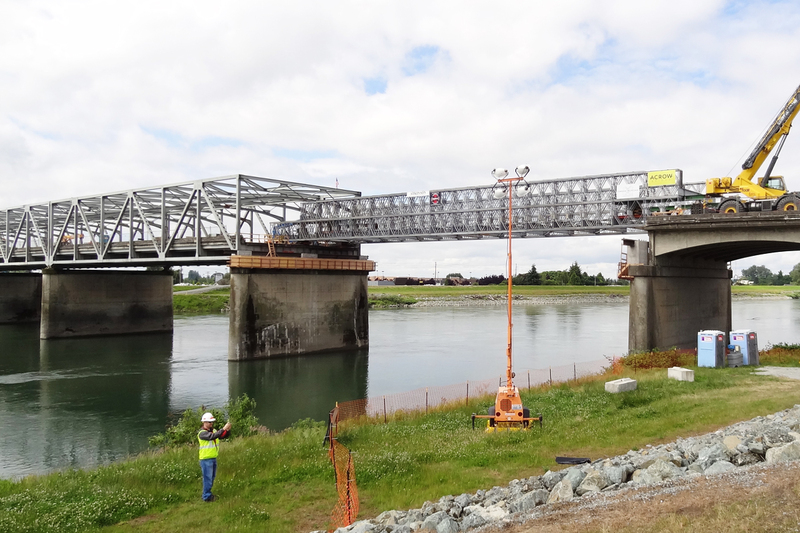 The paper “I-5 Skagit River Bridge Collapse Review” is available online.